kicked off in June, with the software-based Virtual Robotics Challenge. For this first phase, teams create software and ran it on a robotic simulation. The challenge has now moved from virtual to physical, and the trials have just wrapped up, leaving a field of eight finalists that will compete in the Grand Challenge next year. In case you were wondering, the winner walks away with $2 million in prize money. Back in June, the field consisted of 100 robots. The Miami trials involved 16 robotic system teams (as opposed to software-only teams), half of whom made the cut. Team SCHAFT finished first in the trials with their Robot S-One. Made by now Google-owned Japanese robotics lab, the S-One earned 27 points on a challenging disaster response obstacle course. 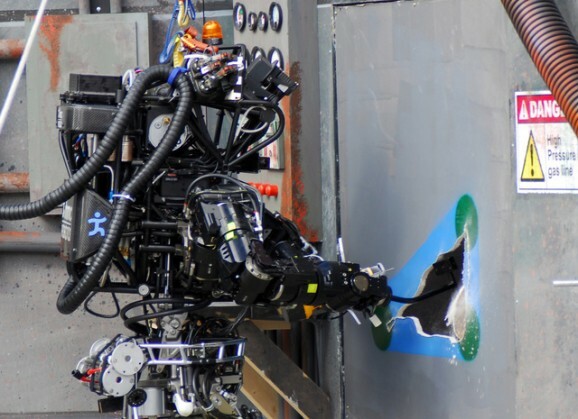 The 4’11’’ 209-pound robot finished first in half of the eight tasks, including the hose, ladder, terrain, and debris. With a liquid-cooled motor powered by a capacitor, this robot owned the competition on exercises that highlighted agility. Florida’s Institute for Human and Machine Cognition’s Atlas-Ian robot came in second with 20 points. The team focused primarily on developing their own software for walking and object manipulation, but used a robot built by Boston Dynamics. The robot won a task involving maneuvering around cinder blocks. Next up, with 18 points, is Robot CHIMP from Carnegie Mellon’s Tartan Rescue team. 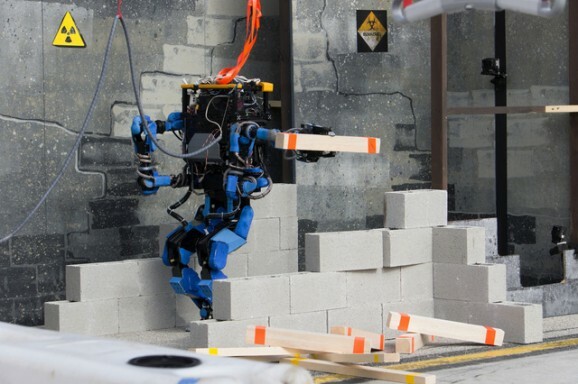 Named for its simian features, such as its four-legged walk and ability to transition to bipedal movement, the human-sized robot is particularly good at tasks that require hand dexterity, such as manipulating valves, driving, and climbing. MIT’s ATLAS robot came in fourth with 16 points. 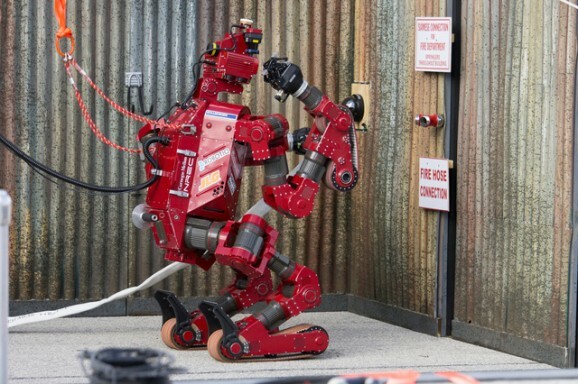 NASA’s Jet Propulsion Laboratory got into the act with their RoboSimian, which earned 14 points. RoboSimian uses all four limbs and hands to move and manipulate objects. 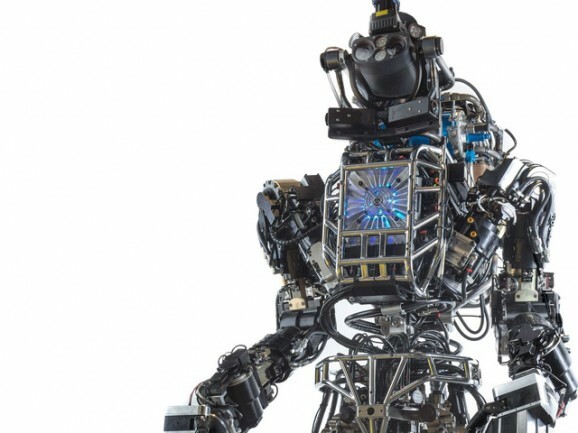 With 11 points is yet another ATLAS robot, this one made by TRAClabs, a team focused more on the software side of things. Worcester Polytechnic Institutes’s Robot Atlas-Warner also has 11 points, and was the only ATLAS robot to complete the driving challenge. Lockheed Martin’s Robot Atlas came in last with 9 points.